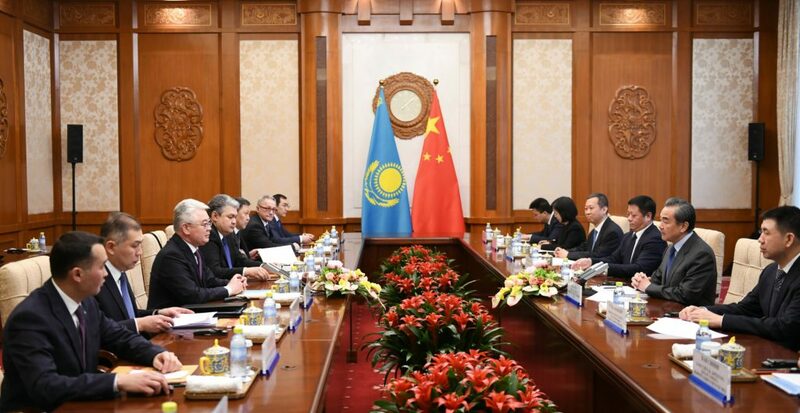 NUR-SULTAN – Kazakh Minister of Foreign Affairs of Kazakhstan Beibut Atamkulov discussed political, economic and humanitarian cooperation with People’s Republic of China Minister of Foreign Affairs and State Council Member Wang Yi during a March 28-29 visit to China. L-R: Kazakh Minister of Foreign Affairs of Kazakhstan Beibut Atamkulov and People’s Republic of China Minister of Foreign Affairs and State Council Member Wang Yi. Photo credit: mfa.kz. The ministers also discussed humanitarian cooperation, international issues and signed a cooperation agreement between the two ministries for 2020-2022. “Relations between Kazakhstan and China are an example of mutually beneficial and effective cooperation,” said Atamkulov. The Kazakh Foreign Minister also assured his counterpart Kazakhstan would continue under its new President the country’s current foreign policy and obligations within international organisations, such as the United Nations, the Shanghai Cooperation Organisation and the Conference on Interaction and Confidence-Building Measures in Asia. “We reaffirm our commitment to strengthening and deepening the relations of a new stage of the comprehensive strategic partnership,” Atamkulov said. The sides also agreed to cooperate on interregional and cross-border issues as well as on industrial investment, digitisation and technology. They also discussed ways to coordinate the Belt and Road initiative with the Nurly Zhol New economic policy of Kazakhstan and the programmes of the Eurasian Economic Union. Atamkulov also emphasised Kazakhstan’s desire to work with China to resolve issues related to ethnic Kazakhs living in China, including through increased contact between foreign ministries and their consular services. Atamkulov also discussed trade and economic cooperation with Minister of Commerce of China Zhong Shan. They proposed creating a roadmap for bilateral trade to expand the trading area, optimise trade structures and increase the bilateral trade of high-tech products. China is one of Kazakhstan’s largest trading partners and trade has been on the upswing. 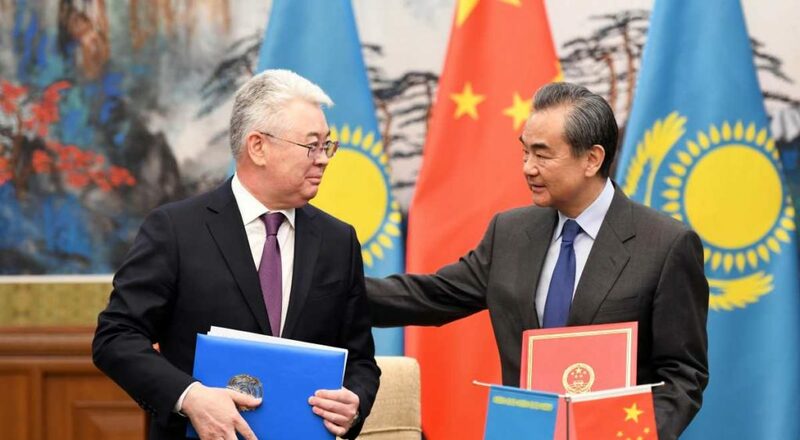 The Chinese side commended first and former Kazakh President Nursultan Nazarbayev for establishing the Kazakhstan-China strategic partnership and deepening cooperation on the Belt and Road initiative (BRI). The talks covered visa issues, calendar of interagency consultations and a prospective visit of the First President of Kazakhstan, Nursultan Nazarbayev to China. Later on, the Kazakh minister met with Chinese business leaders representing companies such as CITIC Constriction, CMC, China Construction Bank, Grand Farm, Huajin Group that are realising joint projects in Kazakhstan. 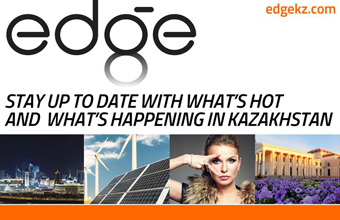 On March 29, the Chinese companies working in Kazakhstan including Shengyuan Technology Co., Longyuan Technology, Yichang KELISON Industrial, Sheng Xi (Shanghai) Energy Technology, China National Instruments Imp. & Exp. Corp., Foshan Newmay Ceramics, Gezhouba Cement Ltd., Universal Energy, China National Building Material Corp. discussed their projects with the Kazakh delegation at the meeting co-chaired by Deputy Foreign Minister of Kazakhstan Yermek Kosherbayev.